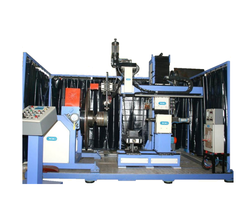 Our range of products include hard facing plasma welding machine, direct overlaying valve welding machine, seat ring welding automation equipment and automatic overlaying welding machines. We are the forerunner when it comes PTA Welding Automation in India. 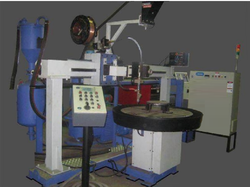 By utilising skills of our adroit workforce, we are offering a complete range of Hard Facing Plasma Welding Machine. The offered welding systems are used to Hard face Valve components using PTA welding process. These welding systems are highly praised for its optimum quality fine finish. In addition, our welding systems are tested on numerous parameters of quality for ensuring its faultlessness. PRIMO has developed Seat Ring Welding Automation equipment for doing overlaying of 13% Chromium steels on carbon steels by Submerged Arc Process. Machines have also been supplied to deposit Austenitic stainless steel by FCAW Process. 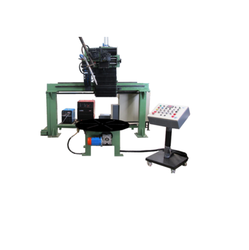 This machine results in substantial economy and productivity over manual arc welding process. 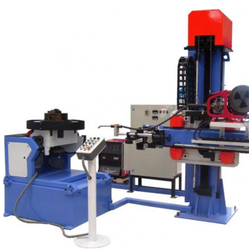 Our organization is highly rated in the field of providing Automatic Overlaying Welding Machines to our clients. Our Automatic Overlaying Welding Machines is known for its unique features such as long-term sustaining, superior in designing and high in quality. They are processed and tested by the team of highly knowledgeable and experienced professional at advanced units. Our entire products ranges including Automatic Overlaying Welding Machines are acknowledged for its excellent performance and high durability. Looking for Valve Welding Automation Solutions ?